Direct Selling Business: Products or Opportunity? Products or business opportunity? It's an ongoing debate that never seems to end with direct sellers. But for those looking to start a business in direct sales, why is this important? In a perfect world, you'd want to represent a company with products you love and a balanced business opportunity that you can actually succeed in. But there's going to be something you won't be 100% satisfied with every company. I've had this discussion many times with friends of mine in the business. I think it's really hard to be a part of any business long-term if you can't stand behind the products or services you're using. For most direct sales consultants, it's easier to sell a few products here and there than to share the business opportunity. Let's say you're a consultant for a jewelry company. You can wear your company's jewelry. If someone likes the jewelry than that's a possible opening to talk about the product you're wearing. As for the business opportunity, new consultants aren't always comfortable explaining all the ins and outs of the business such as retail commission, team building percentages, and so forth. That's why I believe if you love the products than you're going to be excited and more motivated to stay in the business. Perhaps long enough to learn all the ins and outs of the business opportunity. Some compensation plans aren't the easiest to understand for some people. Think about a product that you must have on hand all the time. How about a product that has made a difference in your life? Imagine if that product is from a direct selling company you represent. You're probably more likely to tell others about it, right? But when it comes to the business opportunity not all of us are comfortable telling people about the business. Using a product as an ice breaker to start a conversation is easier than pitching to someone want to hear about a business I'm involved in? Besides, for some people hearing a business pitch makes others uncomfortable. That doesn't mean the opportunity isn't important because you need to know what you can earn from your direct selling company, is the company is reputable, financially sound, etc. All of those things need to be considered carefully. But my view is product first because it's hard to sell something you're not using yourself. Second, if you build a customer base maybe one of your customers will pursue the business in the future. Many times a customer will become a consultant after they've been using the products. Other factors play an important role when it comes to why people join certain companies such as the company's mission, value, and so forth. But if you ask the majority of direct sellers my guess is it's their company's products that initially drew them to become consultants. 'til next time, keep on direct selling. Direct Selling- Less Expensive Products Easier to Sell? I had a recent prospect tell me she loved the samples from my direct selling company but felt the products are a bit high for her and the people she knows in her area. It's a valid point because there's a comfort price point for everyone. There's a market for every customer. She was considering another company offering less expensive products and asked me if I thought it would be easier to sell. If you get this objection from a potential prospect who wants to join your company what's the best way to handle this? When it comes to selling products, competing on price alone is always tough for an independent consultant because there are other places people can go and buy products. You'll find inexpensive products just about anywhere. Direct selling isn't necessarily about competing for the lowest price because it's not a traditional retail store or discount store. Direct selling companies offer two things that's unique from regular stores - for customers and the business opportunity for those customers, if they choose to do so. Use and sell what you love. With this in mind, whether you choose to join a company that offers inexpensive products or not isn't the most important factor. The most important factor is your willingness to grow your business by marketing your products to more people. Reach and expand beyond your friends and people you know in your local area. There will be people who will only spend x amount on certain products and convincing them to spend more isn't the best use of your time. You can spend that time marketing your products to people that want and will pay for what you're offering. Also, keep in mind that what's expensive to one person might not be to another. Focus on offering value and the benefits your products deliver and the awesome service you're giving to your customers. In today's conscious business mentality people care about where they buy their products and want to partner with companies that are either sustainable, green, fair trade, and so forth. Know what people care about and tap into that mindset. The idea of debating whether it's easier to sell inexpensive products or not isn't straight forward. If you're considering joining a direct selling company and thinking that less expensive products might be easier to sell, that might not always be the case for long term success. It depends on what type of products you're selling. I've bought inexpensive jewelry at home parties because they're fun but when it comes to certain products like skin care or health and wellness, I'm more selective. In this case, cheap isn't what I'm looking for but quality and benefits of products. If you're planning to start a business with a direct sales company that offers the lowest price because you think you'll have an easier time attracting customers, consider other factors. If it's really inexpensive, let's say average products around $5 to $10 then you'll need to sell more products for your business to be profitable. Ultimately, the products have to deliver results and meet your customer's expectations. Then focus your business on delivering the best service and value to your customers. I think that's one of the best ways to grow any business whether the products are inexpensive or not. As always, I'd love to hear what your comments. How many times have you gone to a home party selling products while mingling with friends and thought to yourself I want to do this. I know I have especially if the party offers clothes, jewelry or food/wine. What's not to like about those parties? The more fun the party is the more likely you're thinking I can have fun and earn money. Both of those things are true in a home party plan business- having fun and earning money. But to do this as a long-term business, it might not be for everyone, especially if you're a non-party kind of person. That doesn't mean you won't be good at it because we're capable of learning to be good at something if we choose to invest the time. But let's say you really want to join a home party plan company without having to do parties, is that possible? It is possible but consider doing a variety of marketing methods if you're not planning to host parties or ask others to host for you. YOUR NETWORK. It definitely helps your new business get off to a strong start if you have a large network of contacts that are enthusiastic about supporting your new business. This is the best place to start. I've been to a few parties where the consultants invited dozens of people all happy to support their new friend's business and it was very successful and fun. From the success of the first launch party, she was able to book future parties, and so forth. This is the best method for sales and sponsoring your new business especially if you have a big turn out. I attended a clothing party once and the consultant had thousands in sales that night and people asking her about how to do the business. I DON'T KNOW ENOUGH PEOPLE. I hear this often from prospective recruits. Even if you don't have a large network of contacts or really don't want to ask people to host parties for you, consider starting off with your own launch party. Schedule an open house type of venue. If this isn't an option than maybe invite a few people you know for a smaller gathering. Perhaps over coffee or lunch. Hand out catalogs. There are also local craft fairs, events related to the products you're selling, donate items to be auctioned off at your child's school fundraiser. There are lots of ways but it will take diligence on your part. INTERNET MARKETING. Facebook appears to be the social media #1 choice for many people in the home party plan industry. It is one of many social media sites to build your business. I love to blog so that's my go-to marketing choice. No matter which one you choose to spend your time building your business, doing it professionally and consistently is key to your success. If you're considering Facebook marketing or building your business online, here's a great article by Karen Clark, at My Business Presence -> Facebook Parties for Direct Sellers from a Business Page. Also check out Jennifer Fong's blog as she offers tons of valuable tips. There are plenty of successful direct sales superstars that have done very well without doing parties. It's usually after they've established a loyal repeat customer base. So start building your business from the beginning. It might take you longer or faster than others and if you stay the course and commit to doing all the marketing methods to grow your business, you will find success eventually ... becoming successful overtime is my motto. You can do this even if you're not a party kind of person. The Missing Ingredient in Your Direct Selling Success? If you've done a direct selling business in the past and didn't find success it's understandable why you would be shy about doing it again. I have prospects tell me I joined several companies and didn't have any success so I'm reluctant to join yours. My guess is it's a culmination of many factors why someone didn't have success. As I've shared in my previous posts, there are many reasons people join a direct selling company. Even though they're signing up to be an independent consultant but that's in title only and they're not necessarily committed to actually doing the business. Because it is so easy to sign up with a direct selling company, you're going to get all kinds of people joining for different reasons and interest levels. If you're a dabbler or a product user like I was in the past, that's a missing key ingredient for success. As they say in this industry, you're going to get serious business minded people, part-time people, and even sometimes people who sell a few items here and there. In my case, the most obvious missing ingredient was me. Sure, over time the company was no longer the right fit, the products no longer worked for me, management team changed, etc. There were reasons for lack of success but the main missing part was that I wasn't committed to the business. That's often the case with most people in this business. So, is it possible to find success if you change companies? I would certainly hope so as I see past failures as learning lessons to find the next opportunity that might be a better for you. Think of it as a job. If you're in a job and it didn't fulfill you, you'll probably start looking for something else. It would make sense you would do the same if you're a business owner or a direct sales consultant. Business starts and closes and people change careers. Conversely, when you find a company you're proud to represent, products you love using every day, AND you decide to commit to being successful, your business can change dramatically. It took me quite a while to find the company that gave me the spark I needed. If you don't feel good about the products or the company you're not going to be 100% committed. Some people have been fortunate in finding huge success with their first company but there are many that took a few companies before they found success. The best part about the direct selling industry is that there are so many wonderful companies to choose from. I think some of us get a bit weary of joining multiple companies but frankly, it's better to try and wonder what if. As always, would love to hear your thoughts. Have you had a similar experience? 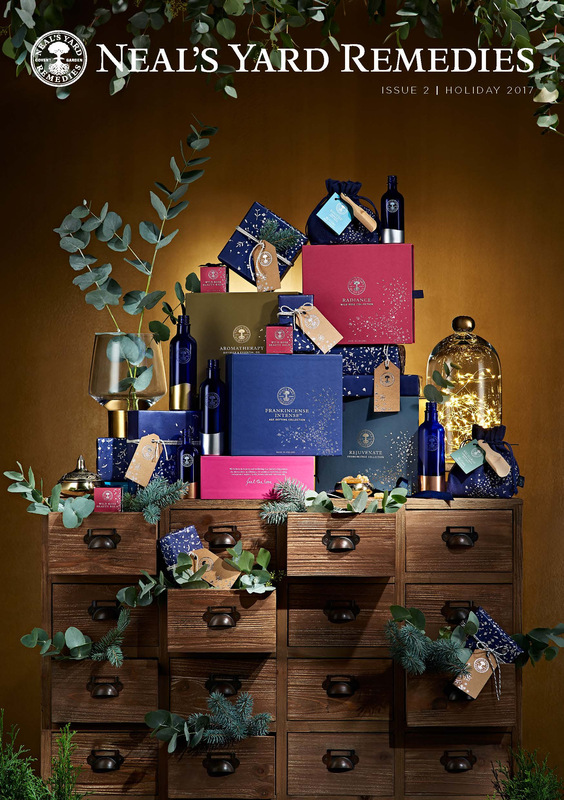 NYR Organic's Holiday Mini-Catalog is here. You'll find gorgeous upcoming holiday gift sets to make your holiday pre-shopping a breeze. Customer Offer from 9/11 - 9/17. Our valued customers will receive a limited time special organic tote bag when you buy any 3 Bee Lovely Products AND for my customers that shop from my online store, you'll get a thank you gift from me when you buy any 3 products, not limited to just Bee Lovely Products. As always, would love to hear what you think of these specials and if you'd like a sample or have any questions, visit my NYR Organic online store and contact me. Thinking About Joining a Direct Selling Business? September has begun, kids are back in school which means some stay at home parents might find themselves with a bit more time. The start of fall is one of my favorite seasons especially for those in a home-based, direct selling business. This is the time when your company has released new products and catalogs for the upcoming fall/winter season. It's a busy time for team building and selling from the excitement of new products and the upcoming holiday season. You're more likely to see lots of back to school promotions or sign up specials during this time of year. So, if you've been thinking about joining a home-based business, consider this time of year. SIGN-UP SPECIALS. Definitely look for sign up specials as you're likely to see savings on the business kit, possibly more products in your business kit, product credit, or other freebies on top of the products in your business kit. FLEXIBLE BUSINESS. I've had people ask me if the business is really flexible and the quick answer is yes! It all depends on the company you choose AND what you honestly want out of your business. A direct selling business is very flexible and works to your schedule. If you're willing to commit 5 hours a week than you're likely to see results based on the efforts you're putting into your business. Some invest more time and resources than others just like you'd find in other types of businesses or career that's dependent on your personal efforts. TURN-KEY. I can't think of another home-based business besides a franchise (which is expensive) that is turn-key with a system already in place that anyone can get started right away with a small upstart fee. Obviously there's a wide range of companies in this industry so you'll have to do some research before hand for start up costs, etc. But with a direct selling business, you instantly get a replicated website to start promoting your business. And it's free with some companies. TRAINING. Direct selling is known for its generous training and ongoing support not only from the company but also from your team leaders. There are so many training resources that many people don't even tap into. If nothing else, you'll learn about marketing and business that's incredibly valuable to you. I'm an avid reader but never took an interest in business/personal development books until I started with a direct selling company. USING AND SHARING. For me a direct selling business makes so much sense because I'm already a stay at home parent and I'm already buying organic products. The idea of why not use and share what I love developed into a business that I can do online around my busy family schedule. There are so many products and companies to choose from so if you have a love for a product, that's a good place to start your research and find a company that's right for you. While reading this article "Mindfulness..." from NYR Natural News, it got me thinking about how you can use these tips and adapt them to your home-based business. Although the article isn't about direct sales but the idea of being "mindful" no matter what situation you're in is a helpful suggestion. So what exactly is mindfulness? According to this article it means "focusing on what's happening in the present moment." Here are some ways how mindfulness can help you stay focused on your direct selling business. In a home-based business like direct sales it's very easy to lose focus because there's no one watching over you. There's no accountability except for the ones you set for yourself. The article suggests focusing on what's happening in the moment can help you overcome obstacles. For example, let's say procrastination is your biggest weakness. How do you motivate yourself to do what needs to be done. For your business to prosper you'll need to do marketing to generate leads. First, identify what marketing system you're using to generate leads. Is it cold calling? Parties/events? Blogging? One on one? Or maybe all of the above? For me, blogging is my first go-to but some days I don't feel like writing. But I know I have to if I want to meet my weekly blog goals. How do I do that? By forcing my active mind to block out all the distractions and focus only on writing. Instead of doing a dozen things I have to consciously or as the article suggests practice being in the present moment. That means focusing only on writing and nothing else. If you're focused on being present you're less likely to succumb to distractions. Create a system of accountability for yourself or partner with someone in your business with whom you can share weekly goals with and help each other be accountable. Be patient with yourself. When I'm impatient I tend to give up but when I'm being mindful of the progress I'm making than I'm likely to finish what I'm doing. Cumulative progress is key to success. Imagine starting with just one blog post a week. You'll have four in a month and that's only if you write one blog post a week! So, whatever your marketing method is, I hope this suggestion on being present in the moment will inspire you to do one more thing to elevate your direct selling business.